Bhatkal: July 8, 2015: Karnataka Police on Tuesday filed a chargesheet against four people for their alleged link with terror outfit Indian Mujahideen and involvement in blasts across the country from 2010 to 2014 in collusion with terror suspects Bhatkal brothers. The four -- Syed Ismail Afaaque (36), Syed Suboor (24), Saddam Hussain (29) and Riyaz Ahmed Sayeedi (32) -- were arrested on January 8 in Bengaluru. "A charge sheet has also been filed against the Bhatkal brothers -- Riyaz, Iqbal and Afeef -- who are sheltered in Karachi, Pakistan, and Jainullabuddin and Sameer, who are at large, as absconding accused," an investigation officer told IANS. A huge quantity of electronic detonators, gelatin sticks, ammonium nitrate, jihadi literature and posters and circuit boards for triggering blasts were also seized from the hideouts of the accused in Bengaluru and in Bhatkal town on the state`s west coast, about 500 km from Bengaluru. "The accused were in regular contact with the Bhatkal brothers, the founding members of the IM, set up to indulge in terror activities, including bomb blasts at public places in prominent cities like Bengaluru, Hyderabad, Pune and Mumbai," the official said. The massive chargesheet, running into 1,700 pages in three volumes, also has submissions made by 123 witnesses and circumstantial evidence as part of the probe. "Identity of key witnesses, however, has been kept confidential to safeguard their life and privacy," the official noted. 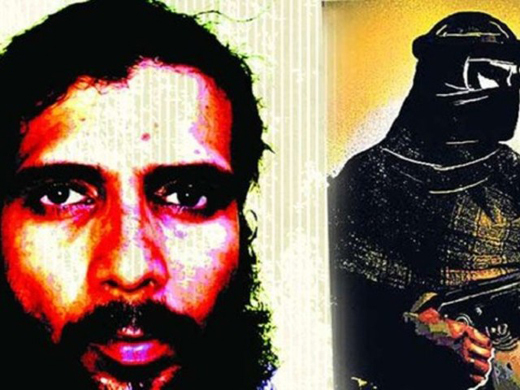 According to the chargesheet, the main accused Afaaque, married to a Pakistani woman, went to Karachi on the pretext of visiting his in-laws and met the Bhatkal brothers, hiding in Sindh province`s port city. "They discussed providing logistics to carry out blasts in various parts of India. Afaaque trained in using various weapons, including fire arms and assembling improvised explosive devices (IED) in bombs," the officer said. Thanks to the Crime branch.